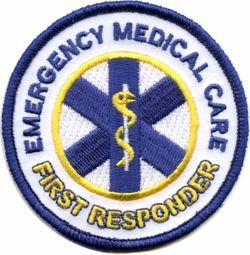 The Medical First Responder (MFR) is the first level of training in the Emergency Medical Services (EMS) Systems as defined by the Department of Transportation (DOT). This program is excellent for companies who have delayed EMS response times or who want to have an advanced first aid team on site, without having to train to the Emergency Medical Technician (EMT) level. K & A First Aid can also help your organization set up a functioning team. This program exceeds OSHA first aid requirements for most organizations. At the end of this course, you will be ready to respond immediately to your medical emergencies. This is also a prerequisite for K&A First Aid's Wilderness First Responder Progression course. DO I NEED TO MAKE EVERY CLASS? Attendance is mandatory at all classes. If another course is running concurrently, a class can be made up by attending the same session in the other class. In addition to 100% attendance, you will need to be able to demonstrate all the skills and pass a multiple choice exam (80% is the minimum passing grade). DO STATES ACCEPT THIS CERTIFICATION? Nationally this certification meets the Department of Transportation requirements for the Medical First Responder curriculum. Depending upon the state and county the certification may be accepted in its entirety or they may require a challenge exam (typically written). Some jurisdictions only accept their own programs or there may be some method of challenging the certification. CAN I BRIDGE INTO STATE CERTIFICATION? You can challenge the Maryland state certification by passing a written multiple-choice exam (70% is the minimum passing grade). The cost is $25 and is not included in the course. If there are enough participants interested in this, a group testing session may be arranged at no charge. For KAFA courses there is no minimum age. In Maryland you must be 16 with parental approval or 18 years of age to be certified by the state. CAN I USE THIS TRAINING TO BECOME AN EMT? Maryland has a bridging course for First Responders that credits almost all the time spent on this course toward EMT certification. IF I GET CERTIFIED AND SEE AN ACCIDENT, WILL I BE REQUIRED TO STOP AND HELP? Unless you have a duty to act because of your employment or status in an organization, most states do not require you to stop and help regardless of your level of certification. This question is covered in detail in the course. IF I HELP SOMEONE CAN I GET SUED? Anyone can sue anyone else. The question should be could I be successfully sued if I help someone. All states have a "Good Samaritan Law". Most state laws indicate that if you provide prudent care without compensation to the level of your current training and certification you are not liable. ARE THERE ANY ADDITIONAL COSTS TO THE COURSE? All participants will be provided a text book and respirator mask which are part of the tuition fee. The only additional fee would be challenging the state certification (see above). ARE THERE ANY PHYSICAL REQUIREMENTS TO TAKE THE COURSE? You will need to be able to perform the physical requirements of certain skills such as CPR and some basic rescue techniques. If the participant can not demonstrate the skill, they cannot receive a course completion certificate but are welcome to "audit" the course. The full course fee will still apply. DOES THIS APPLY TO ANY ADVANCEMENT IN BOY SCOUTS, GIRL SCOUTS, OR VENTURING? In Boy Scouts this far exceeds the requirements for first aid merit badge and any high adventure first aid training requirements. In Girl Scouts, this course covers most of the Emergency Preparedness IP and meets the GSCNC level II First Aider requirement. In Venturing, this meets all of the first aid requirements for the Gold, Bronze, Silver or Ranger awards. Customized training is also available. These trainings can incorporate any of the components of the above trainings with other programs including handling of hazardous material spills and rescue training.